On Thursday, we released improvements that will quicken your workflow and better customize Pipeline to your office. You can now upload docs by dragging them directly into Pipeline. To drag-and-drop documents, you’ll drag files from a folder on your computer and drop them into Upload Docs. Along with drag-and-drop uploads, you can now upload multiple documents into a transaction without needing to assign them from Working Docs. We’ve improved the search feature to help you better find the exact transactions you’re looking for. Now, you can search by specific terms like buyer, seller, full agent name, and more. The video below gives you an in-depth look at the new search options. You can customize transaction statuses to fit your office’s workflow even better. Watch the video below to see how you can rename transaction statuses or create new ones entirely. Last but not least, you can now show or hide all comments in Working and Unreviewed with a single click. 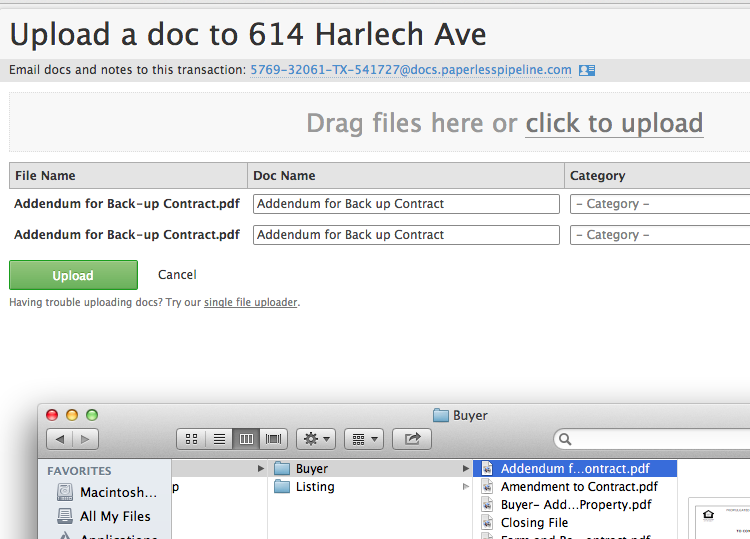 Along with this, individual docs in transactions can now be edited in-line without leaving the page.